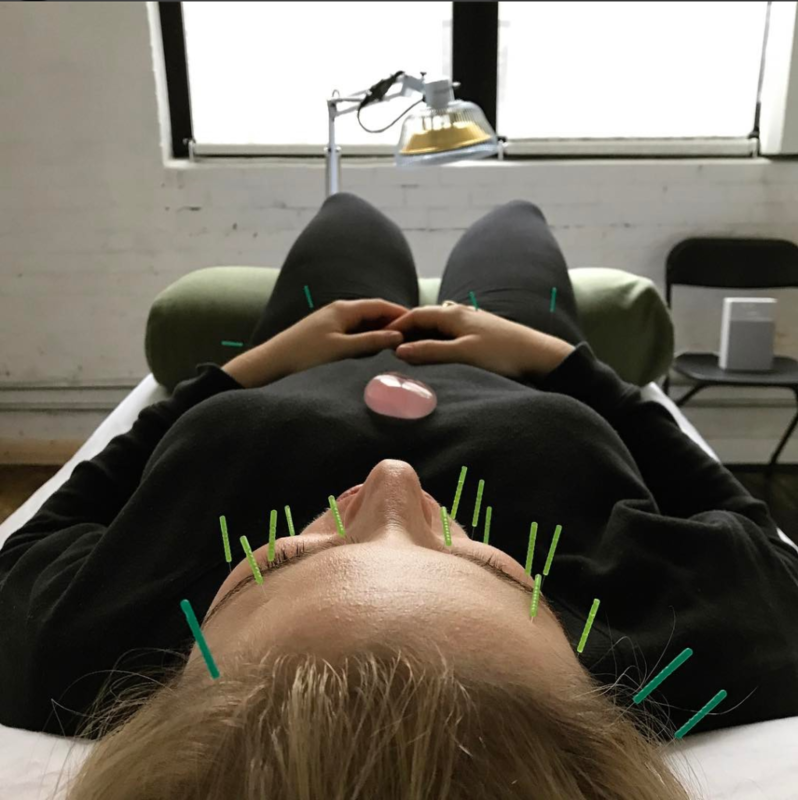 You’ve heard everyone from your marathon-running bestie to your yoga-loving coworker rave about the feel-good effects of acupuncture and acupressure. But as a newbie to natural pain relief, you might be in the dark about the differences between these healing practices. We talked to experts who help demystify acupuncture and acupressure, share how to find a certified pro, describe what to expect at your first appointment, and more. Acupuncture involves the insertion of hair-thin, disposable needles into the skin. The needles are inserted gently and painlessly into acupuncture points along meridians (or energy pathways) that run along your body. Instead of needles, acupressure practitioners use fingers to apply pressure to the points. What Do Acupressure and Acupuncture Do? Both acupuncture and acupressure stimulate the meridians, prompting self-healing, by increasing the circulation of blood and lymph as well as releasing endorphins. “They also release muscle tension and stop pain by changing our chemical and hormonal signaling systems,” Dr. Derbes says. The treatments can improve a long list of issues like migraines, arthritis, digestive problems, menstrual irregularities, insomnia, and fatigue. What Happens During the Initial Session? Eastern-based medicine is “energetic medicine,” says licensed acupuncturist and acupressurist Afua Bromley, of the Acupuncture Saint Louis & Wellness Center. That means any imbalance in energy along one of the meridians is the root of disease, manifesting itself as pain, acute or chronic illness, or psychological maladies, like anxiety or depression. To diagnose the underlying cause of symptoms, experts will review a patient’s health history in detail during the first session. “Expect lots of questions and lots of talking,” covering everything from diet, sleep, and energy levels to short-term and long-term health goals, Dr. Derbes says. An examination of your tongue and pulse will likely follow. The expert will then come up with a treatment plan that targets points that aim to heal the root cause of your ailment as well as some that treat the symptoms, Bromley says. In the first acupuncture session, you’ll likely only receive a few needles. “We usually start off minimally to see how your body reacts,” Dr. Derbes says. Patients rest with the needles in for 30 to 45 minutes. Ideally, you’ll feel calm, centered, and renewed at the end of your visit. Expect much of the same (without the needles) if you’re opting for acupressure. New patients can ask their practitioner to share two to three acupressure points that they can work on their own in between sessions. Visit @alignnewyork to see Dr. Aimée Derbes in action and learn more about her practice. Dr. Derbes recommends acupuncture for anyone with a specific health concern or diagnosis from a medical doctor. Acupuncture patients tend to have more chronic issues—headaches/migraines, chronic pain (musculoskeletal), emotional pain, insomnia, and female hormonal issues (really bad PMS and menopause symptoms). Acupressure on the other hand is a self-healing modality. It’s a useful technique that anyone can self-administer for minor ailments, like motion sickness or nausea, says Bromley, a diplomate of acupuncture with NCCAOM. To alleviate symptoms, identify the right pressure point and massage for a few seconds. Search YouTube for how-to videos to get started. Acupressure administered by a licensed acupuncturist is an alternative option for anyone who intimidated by needles or is extremely sensitive to stimuli, Bromley says. How to Find a Licensed Practitioner? Just like any other doctor, you’ll want to find a licensed acupunturist, who will have gone through 3 to 5 years of training and studying and received a master’s or doctorate degree. Verify credentials of an acupuncturist on the National Certification Commission for Acupuncture and Oriental Medicine’s website (NCCAOM)—the non-profit organization that board-certifies acupuncturists in 46 states plus the District of Columbia. There are currently no licenses for acupressure. Look for someone who is licensed in acupuncture and also does acupressure. “You’re guaranteed a minimal level of competency in a first-year practitioner, which means they’ve had at least 2,000 hours’ worth of training and they’ve passed their board exams,” Bromley says. Alternatively look for someone who is board certified in shiatsu, Japanese acupressure, on the NCCAOM website. Is One Treatment Ever Enough? “For some people, one treatment can do the trick for something like back pain or low energy or headaches,” Dr. Derbes says, noting everyone is at a different place in their healing process. 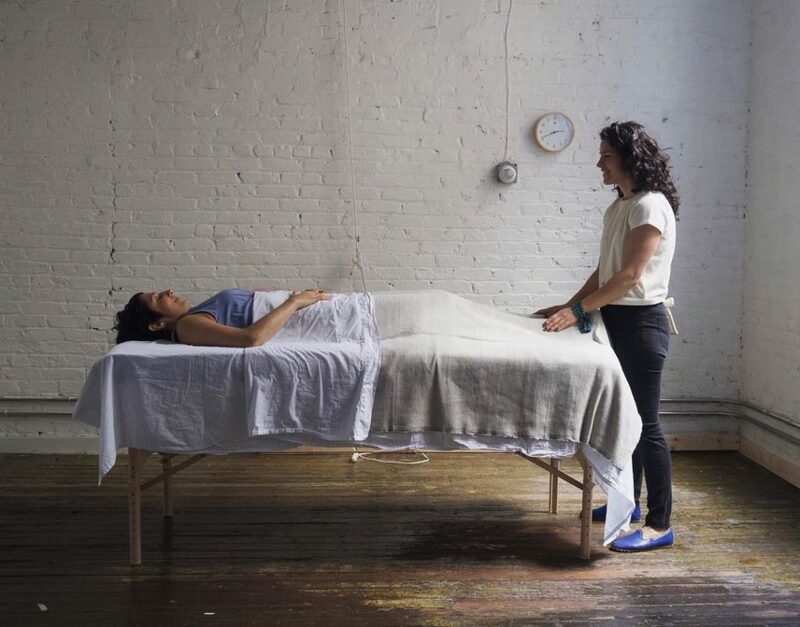 Practitioners will most likely start you off with five sessions and see how your body responds. Even if you’re not suffering from hard-to-cure ailments, you can boost your well-being with acupuncture. “It’s a treatment in and of itself, but it’s also preventative. Every needle that you put in lowers blood sugar, lowers blood pressure, and starts an anti-inflammatory process,” Dr. Derbes says. She recommends twice-monthly sessions for someone with no major health concerns but is looking for a bit of extra support.